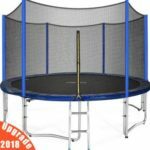 For fun and exercise, the Skywalker Rectangle Trampoline should be a great choice for jumpers, competitive athletes, gymnasts, or a regular family member. It offers more jumping space and higher bounce than the competition. 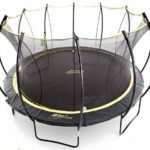 As a result, it’s a perfect model for anyone keen on getting a trampoline for multiple users. For those who don’t know, it can accommodate a combined user weight of 250 lbs. 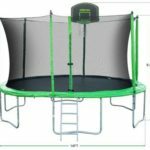 What People say about the Skywalker Rectangle Trampoline? Given the rectangle shape, it’s thoughtfully designed to take little space in your backyard making it an ideal play tool for smaller areas. 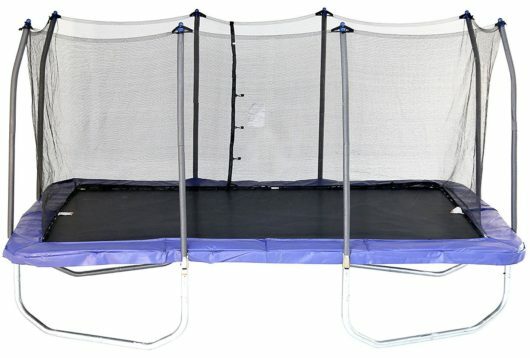 Also, the rectangular design offers ‘even’ bounce anywhere on the jumping mat. 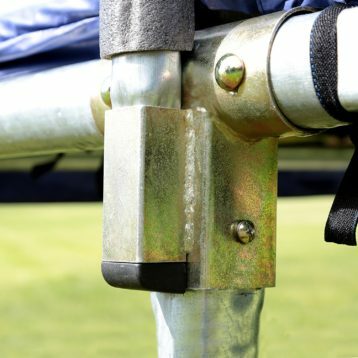 Furthermore, the galvanized steel frame, welded T sockets, 1” inch thick comfortable padding along with rust-resistant springs and UV resistant materials offer superior longevity and durability like nobody’s business. Most users who have bought the product for their little kids have stated that their kids love this thing. Jumping on the mat has become their favorite outdoor activity. The rectangle shape is more conducive to jumping, bouncing, and flipping. It has helped kids improve their flexibility, balance, coordination, and confidence over time. Most users appear very happy with the end product. Assembling this trampoline is easy for the most part because of the clear instructions. But, you will need some muscle power to get all the springs installed. Of course, this isn’t to say that you need to be an accomplished strongman competitor. 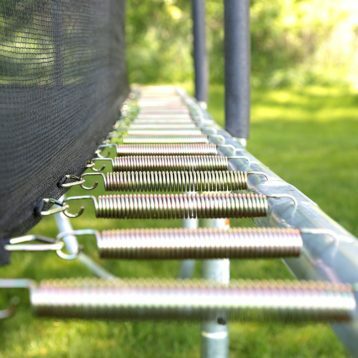 Also I recommend you not to assemble the trampoline with the tools provided, I would do it easier with a socket wrench with a spark plug attachment, which is enough to tighten the bolts for the required depth. 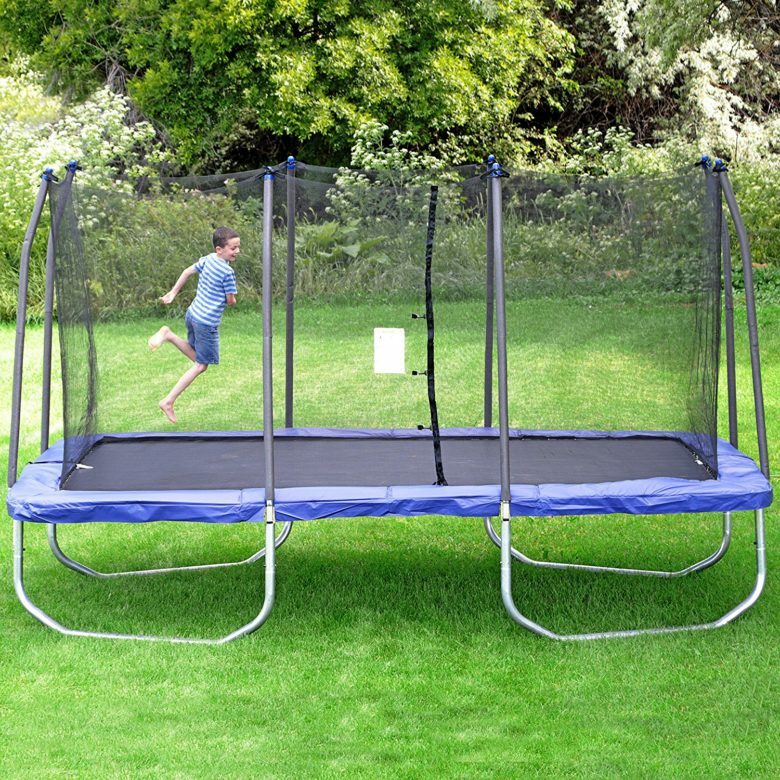 To be point-blank over here, this Skywalker Rectangle Trampoline does not fold. You will have no choice but to disassemble it into pieces to fold the trampoline. That being said, you can simply leave the trampoline outdoors because it can survive an outdoor environment. Even 80 miles per hour wind could do little to no damage to the trampoline. It’s built like a solid pickup truck that can endure a lot of wear and tear. The mat is very bouncy on purpose for a healthy dose of fun. Also, the trampoline comes attached with a safety net to keep the bouncer safe during play. All the parts are long lasting and built with safety in mind. The price is also excellent for what you get in return. It really crushes its competition. I wish Skywalker would include a couple of spare springs. In my practice the springs can brake sometimes, and it is impossible to find suitable spring in a local hardware store. 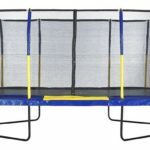 The Skywalker Rectangle Trampoline is a top pick in the rectangular model trampolines. 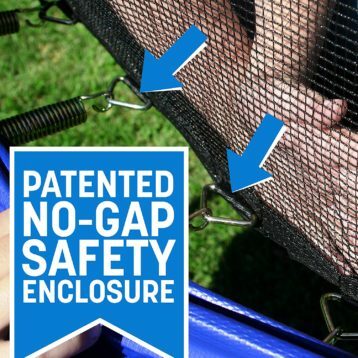 So nothing stops you from getting ready to bring home this high-quality and durable trampoline. It can take you back to your childhood days. If the trampoline was a person, it could have been easy to have a love affair with it.